I consider myself a lucky man. Everyday, get to earn my living doing the things that I love, how many people can say that? In the evenings, I am a math tutor, enriching the lives of young students and helping them to unravel the intricacies of numbers and equations. I get to be a mentor and an educator, not only helping kids to navigate the windy roads of the classroom, but also the roller coaster they call life. 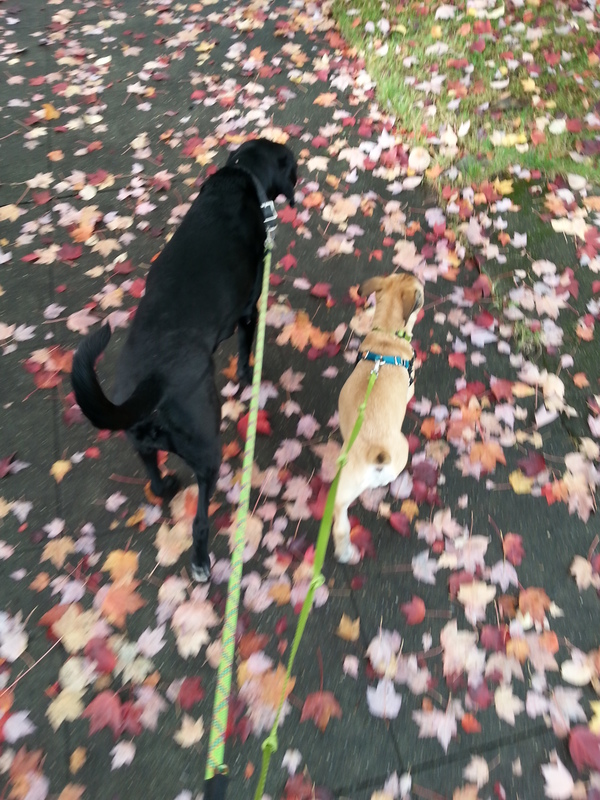 But during the day, I get to do something else that I truly love: walk dogs. Now that may cause some to question my background and my goals (not to mention my sanity). So let me lay it out for you: I am a college grad, where I double majored in mathematics and business economics. My father always pushed me to be a teacher, yet I graduated more trained to work as a bank teller, able to work money and do all kinds of calculations. My path was leading me to a career behind a desk. Yet, something about that wasn’t very appealing. Why would I want to sit at a desk, cooped up and isolated from the wonderful things that this city has to offer? Well, I didn’t want to. Then I walked into a job as a kennel assistant, handling 30+ dogs everyday and interacting with their owners, building relationships with the two-legged and four-legged friends. I built a love for obedience training and the commonalities that existed between working with dogs and kids. Especially the light bulb that hits them when a lesson finally hits home. Every time it happened, it was a new reason to pursue a job I loved. So now, instead of showing up and facing coworkers shut up in windowless offices and choking on a necktie, I am welcomed into every home by a loving four-legged friend who only wants to attack me with kisses and love. How would you feel if you were welcomed into your job everyday by someone who expressed unconditional happiness and appreciation to see you? I wish all my math students felt that way. How could that not rub off on me? It’s impossible to spend my day upset and to let anything stress me out. Do the dogs push my buttons sometimes? Sure. But a wag of their tail or a glance from their pouty eyes melts my heart, and any anger slips away, forgotten. Furthermore, Seattle is an amazing place to explore, with all its nooks and crannies and mazes of parks and side streets. Dog walking has given me an opportunity to discover the nuances of neighborhoods that would have otherwise gone unexplored. 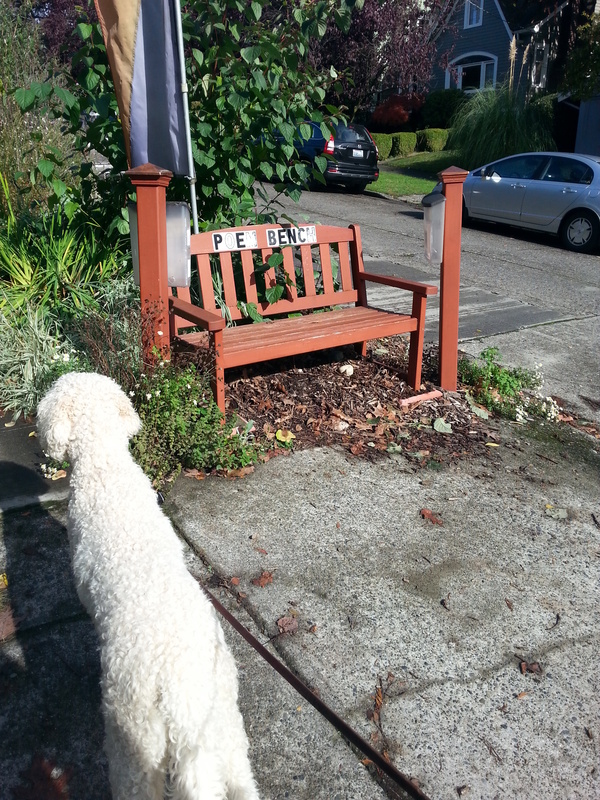 Everyday, I find a new little library, a piece of street art, or even poem benches. With every new neighborhood comes a new population of people to meet and have conversations with. Dog owners tend to be really social, and lots of people love to stop and chat about their dogs (and mine). Not only do I have the privilege to see the attractions in each neighborhood, but I get to meet the people who live and raise families there. 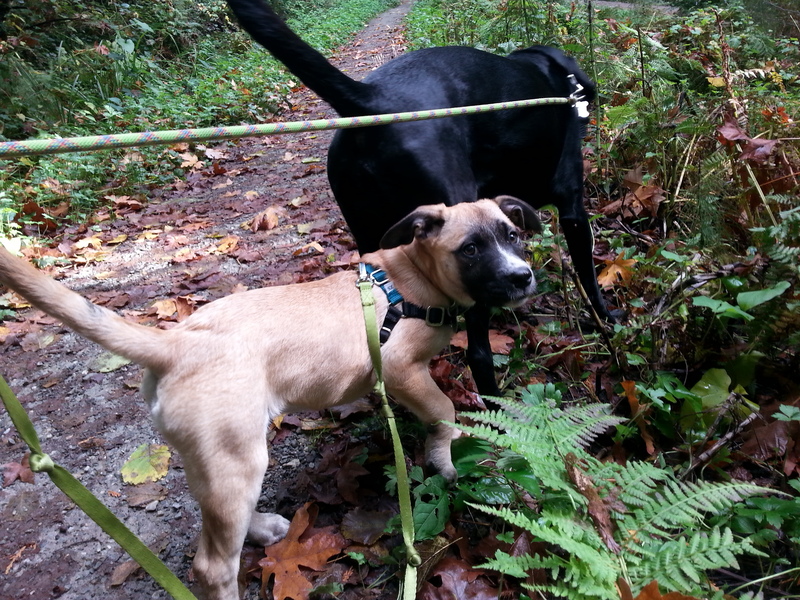 Dog walking is like one big networking opportunity! I know, your gut reaction is to say there is no way that a person can make a living doing this. But trust me, Seattle is a city booming with dog owners, and is a place in great need of decent dog walkers and sitters who can give their dogs dependable care. And I would be lying if I said it was easy (I still tutor for a reason). Besides, getting paid to be a pooper-scooper and running the potential of getting caught in the cold and wet weather makes me question my job choice. But if I have to risk the one day every week that I may get caught in the rain, it is worth it to spend hours in the wonderful parks Seattle has to offer, meeting her residents and learning about her neighborhoods. The result was Paw Prints Seattle, my ticket to running my own business (thus justifying all those accounting and management classes I took in college) and going to work everyday with a smile on my face. Previous PostMy Puppy’s a BratNext PostBordetella: What it is, and what do I do?